We make beautiful websites that people like to use. At Marameo Design, we use user-centred design to understand how people act when they navigate around the internet. This allows us to create a great user experience (UX) for them. Our expert UX design team based in Sydney creates new websites from scratch with excellent usability built-in. We also refurbish sites that are already up and running to improve the user experience. We offer a holistic approach to digital creation. This means that we start with the user experience, continue with front and back end development and design, and move on to marketing when the time is right. Looking at and understanding the big picture of a system, platform or a website allows us to plan each step in relation to the whole using the latest technical tools and methods. This also helps the process to stay agile and quick as we fluidly move from task to task. The user experience (UX) design process begins with an in-house UX Design workshop. This allow us to understand your business and your goals and, more importantly, your customers. Together with other stakeholders, we run through a few key exercises – like developing personas, user stories, user journeys – to better understand your customers and how their needs align with your business value proposition. 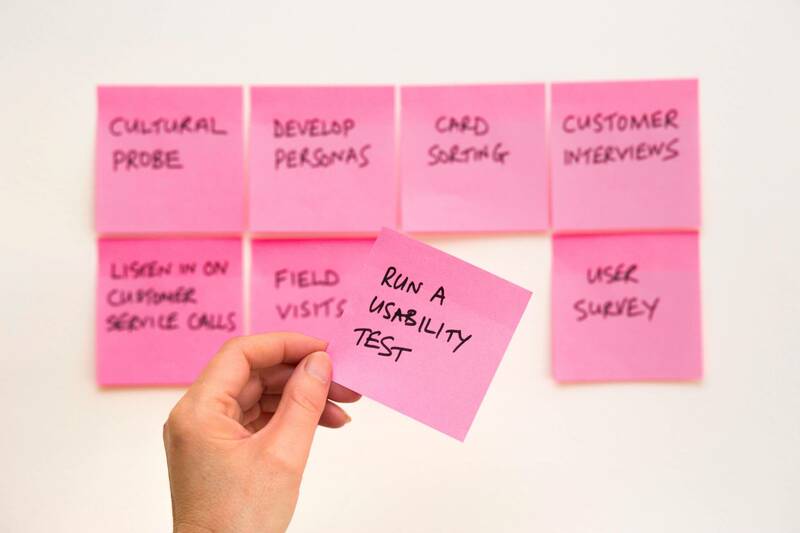 These UX design workshops are the most important step your business will take to bring your digital presence to the next level. Every website begins with careful planning. Whether your company requires a simple micro-site or a more comprehensive multi-page website, preparation is crucial. Using user interface (UI) wireframe technology, we can combine precise layout design with the latest technology used in web development. How detailed this is will depend on the complexity of your project. It can start with basic layout sketching all the way through to comprehensive interaction wireframes for individual pages and screens. The user interface (UI) is how your visitors access your site. It is the doorway and control panel to your products or information. User interface design (UID) looks carefully at both the online and offline experience and combines them with UX design. A well-designed UI and a well-thought UX create a return on investment which is significantly more than the set-up costs. Our experienced team combines visual design, user-friendliness, interactive capabilities and information architecture to develop UIs that work. We make UIs that are easy for your consumers to use – which helps them and benefits your organisation. Websites and applications work best when they use consistent and intuitive structure that allows users to do what they want and quickly. We use information architecture skills to logically layout information to achieve this goal. Using user interface (UI) wireframe technology, we can combine precise layout design with the latest technology used in website development. Every button push, menu click and form filled on your website is an interaction that needs to be both user-friendly and error-free. Our affordable UX design workshops are just the beginning of our exploration of how we can create the easiest and most effective interactions for consumers. The carefully orchestrated combination of form and function is created first by understanding your company’s goals and customers’ expectations before structuring information and interaction in the best way possible.